Sharing a producer with Alt J and touring with Bombay Bicycle Club, Sivu (aka St Ives-born James Page) is arguably under a lot of pressure with the release of his debut album, ‘Something On High’. 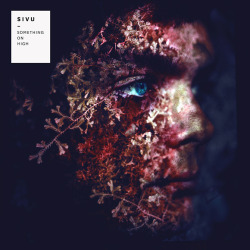 Whilst undeniably channelling some subtle aspects of the aforementioned artists, Sivu strikes his own path; the album is refreshingly unique, yet also endearingly familiar. ‘Feel Something’ opens with the urgent beating of pulse-like drums, painting exotic pictures of tribal celebration. However, this soon eases in to soft acoustic guitar and the mellow tones of Sivu’s effortless vocals. ‘Rumination’ is a stunning instrumental; opening with swooping, soaring strings, the low rumble of voices mumbling throughout, and ending with the familiar sound of tribal drums. One of the standout tracks is undeniably Sivu’s previous single ‘Better Man Than He’. The accompanying music video, in which an MRI scan of Sivu’s head performs the track, has been viewed over 600,000 times on Youtube, and the track was picked as Single of the Week by BBC Radio 1. Although heart-achingly bittersweet, there is a jubilance behind Sivu’s defiant vocals that transforms what could have been a typically depressing love song into something decidedly uplifting. ‘Something On High’ maps a journey, both mental and physical, from start to finish. The biblical references in ‘Bodies’, haunting fragility of ‘Love Lives In This House’, lilting strings in ‘Miracle (Human Error)’ and understated beauty of ‘Sleep’ are each pieces of well-crafted art. Yet despite each track being individually breathtaking, the album maintains a sense of complete togetherness- Sivu tells a deeply personal yet relatable story, which is what makes ‘Something On High’ so magical. There is a quiet confidence running throughout that is rare to find in a debut, setting the bar high for whatever Sivu does next.